The Reliant’s powerful drying pump, combined with a bacteria filter, provides end-of-cycle forced ventilation for complete drying. 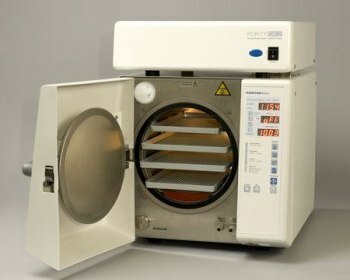 This sterilizer is also equipped with numerous safety features including a triple-safety door, LED readout and cycle counter. It conveniently accommodates cassette trays to store sterile instruments, and optional reverse osmosis water reservoir eliminates the need to add distilled water manually.